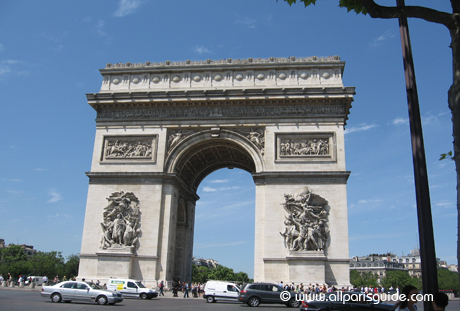 Along with the Eiffel Tower, the Arc de Triomphe remains the great Paris landmark, dominating the axis leading east down the Champs-Elyséesand west down the avenue de la Grande Armée toward Porte Maillot and La Défense. The central point of a wb of 12 avenues constantly swirling with traffic, this major crossroads is known as the Etoile. 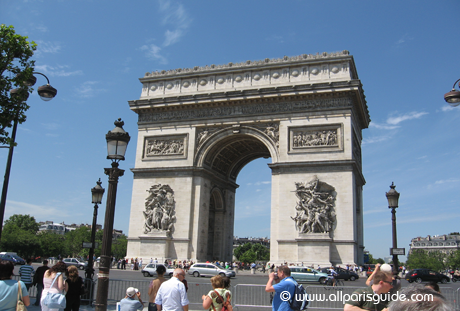 The Arc’s conception goes back to Napoleon, who in 1806 commissioned an awesome memoria to be built for the french army, but it was not until 1836, under Louis-Philippe, that the monument was completed. By the time Haussmann had finished with redisigning Paris, the Etoile had assumed the form it has today, and its symbolic role was confirmed after World War I with parades of victorious troopsarching through and the burial of the unknown soldier beneath. Over 70 years later, a ceremony takes place every November 11 (Armistice Day). 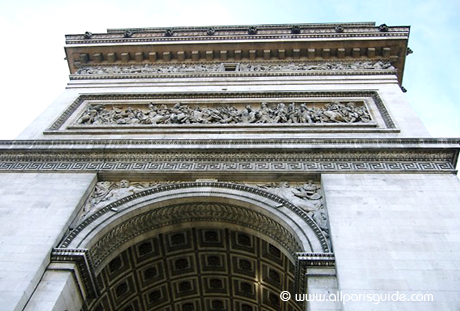 The sculpted facade is actually the work of three different sculptors, and the 30 shields studding the crown of the arch each bear the name of a Revolutionary or Imperial victory. The Arc stands 165 feet high and it is worth braving the long lines to take the elevator, or laboring up the steps. The view is superb and gvs a clear vision of Haussmann‘s urban layout. 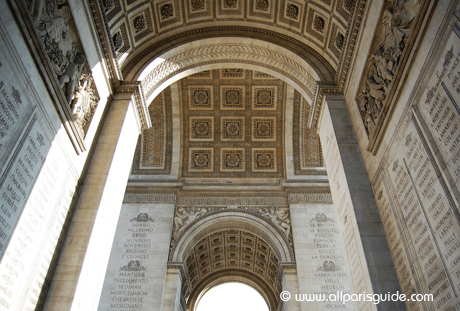 0 réponse dans " Arc de Triomphe "